How can I be sure God exists? Why should I believe that the Bible is trustworthy? How does modern science relate to the Christian worldview? What evidence do we have that Jesus rose from the dead? 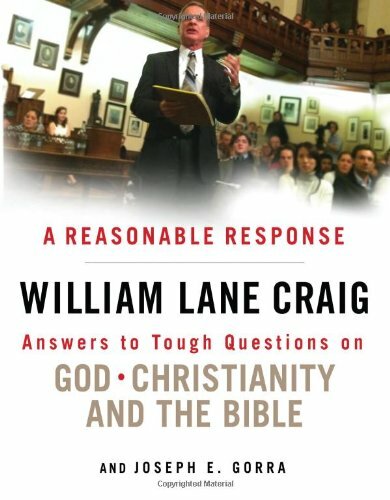 Utilizing real questions submitted to his popular website ReasonableFaith.org, Dr. Craig models well-reasoned, skillful, and biblically informed interaction with his inquirers. A Reasonable Response goes beyond merely talking about apologetics; it shows it in action. With cowriter Joseph E. Gorra, this book also offers advice about envisioning and practicing the ministry of answering people’s questions through the local church, workplace, and in online environments. Whether you're struggling to respond to tough objections or looking for answers to your own intellectual questions, A Reasonable Response will equip you with sound reasoning and biblical truth. If you have any questions about this product by Moody Publishing, contact us by completing and submitting the form below. If you are looking for a specif part number, please include it with your message.